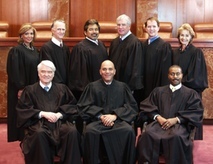 CITY OF HOUSTON, TEXAS v. TRAIL ENTERPRISES, INC. D/B/A WILSON OIL COMPANY, ET AL. This case was waiting for a decision about a pending motion for rehearing between December 21, 2009 and February 12, 2010. This case was pending on merits briefs between January 16, 2009 and October 30, 2009.